I didn’t think that greyhound would go to Mexico so I hadn’t checked. This was pretty much all I needed. I went to the ticket machine, checked the price: 50$ to Monterrey, Mexico. Sold. I booked the next bus and was on my way to the Mexican border a few hours later. I’m going to put this down as one of my top last minute decisions whilst travelling. Everything has been on the up since ditching the bus to Arizona and coming to Mexico. The bus was in the evening, and through the night. It’s a shame as I didn’t get to see the landscape change from lush green forest to desert but I could sense it through the dark bus windows. As we got closer to the Mexican border the bus would regularly go over bumpy roads and it felt like some western film, speeding through the desert in the dark towards the border. Even before we crossed into Mexico things had changed. Since Dallas, most of the people on the bus and working in the bus stations we stopped at were Mexican, more and more signs and adverts were just Spanish. And then we crossed. USA to Mexico takes no time but as you would expect, even at 6am, the queue from Mexico to USA was huge. 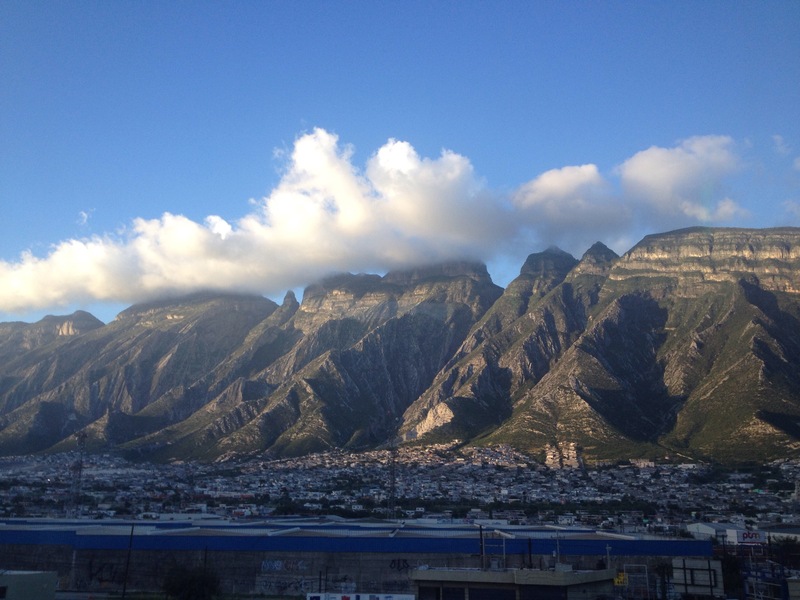 We arrived in Monterrey yesterday and it is a beautiful city, and everything is cheap again, I can finally stop worrying how much the next hostel or meal is going to cost and start enjoying the places I am in. I am really glad I cut America short, I did the two things I really wanted to do: see Nick Hakim and learn about aquaponics. My time in Tennessee was awesome and although I didn’t see Niagara Falls and the Grand Canyon, they’ll still be there when I have enough money to not have to think about money when visiting them. I’m on my way to Mexico City tonight and all going well, I’ll be going to the biggest ancient city in Mexico soon: Teotihuacan.